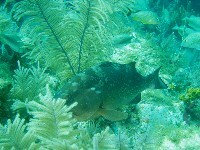 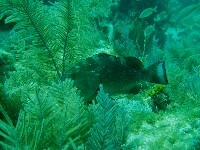 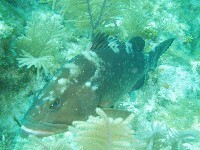 This appears is a Red Grouper. Photo by Rod 19 March 06 in about 20 feet water. 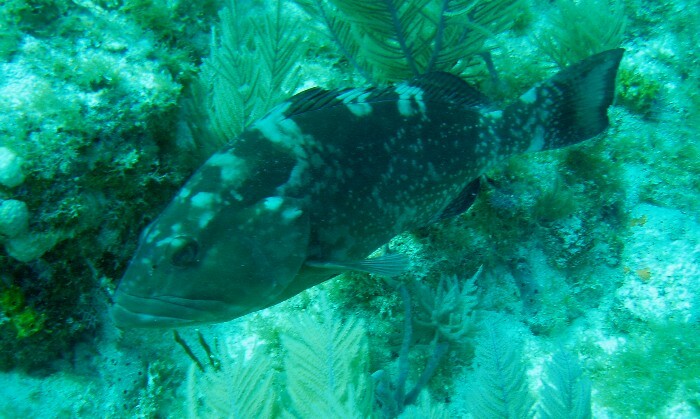 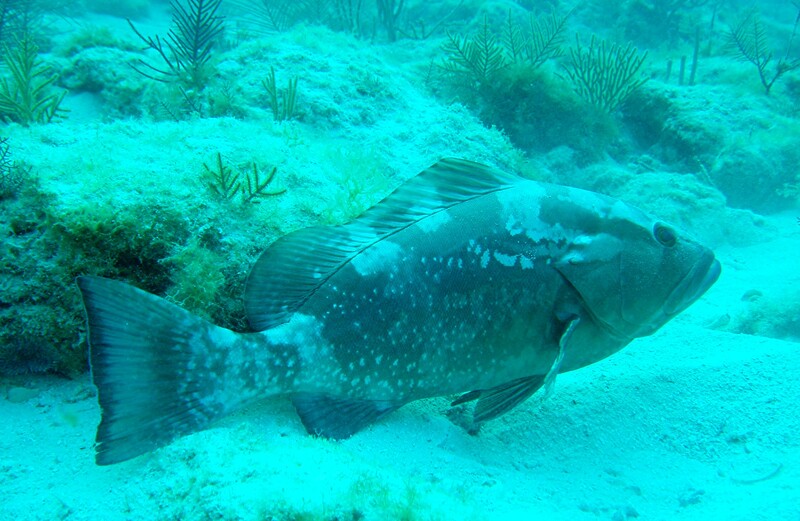 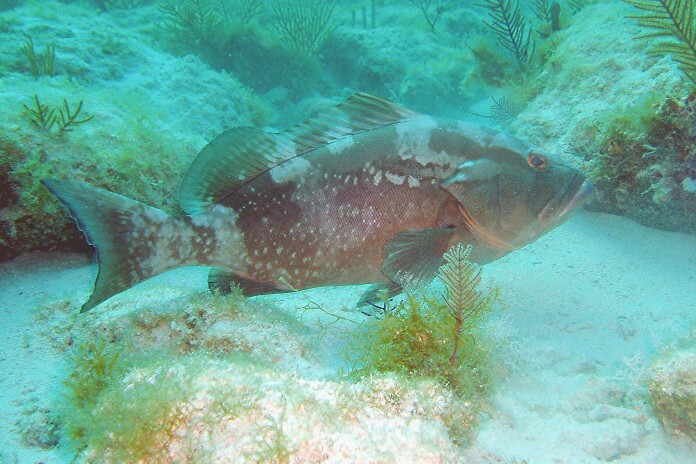 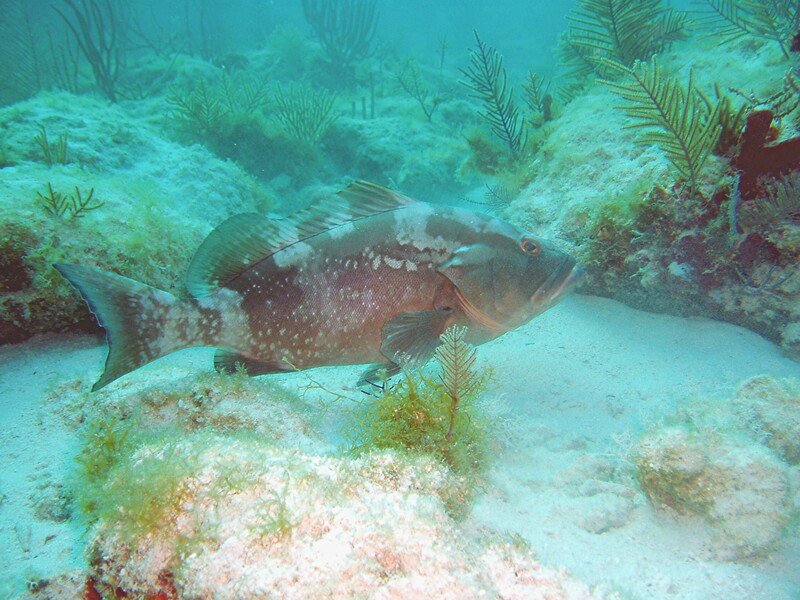 Moderate size, robust, somewhat compressed grouper. 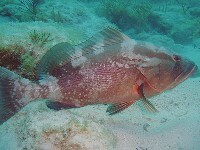 Reddish brown overall, slightly lighter below, with some very small black spots on side of head, and often with pale saddles on back below dorsal fin and irregular pale blotches on side of body. This appears to be a Red Grouper. 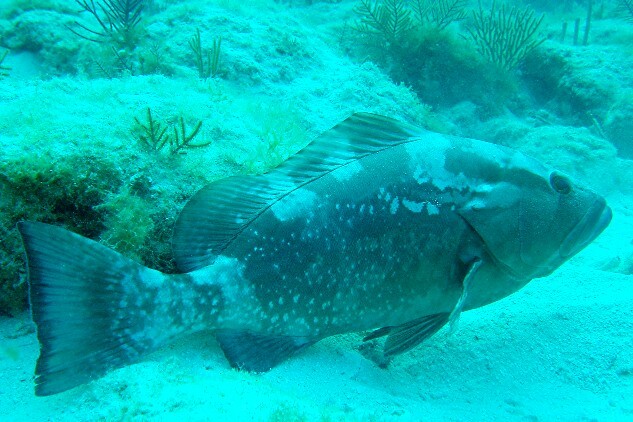 Photo by Rod 23 Feb 05 in about 20 feet water.